Stay awhile amid nature; orchards, farmland, green fields and gardens, friendly langurs atop high tamarind trees. 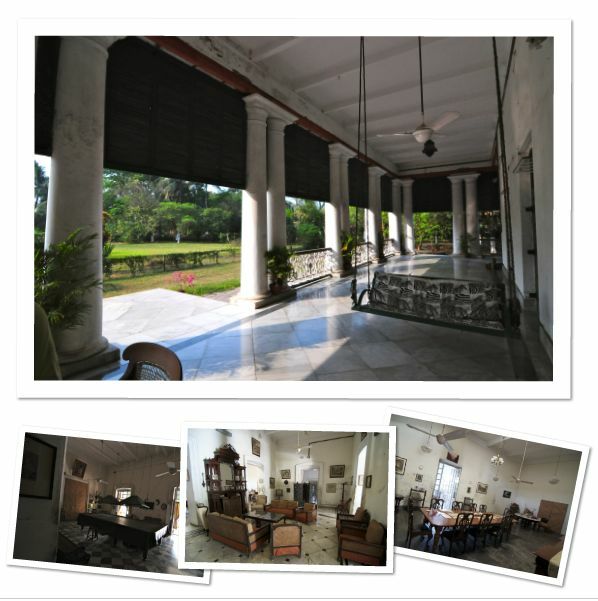 Stay awhile in a stately early 19th century villa, French by provenance, the architectural heirloom of a distinguished Bengali Zamindari familiy, who still live there on a 16 acre estate. Stray awhile from the stereotypes of starred hotels and resorts; find yourself in the gracious rhythm of a household to the manor born: a heritage of enterprise and adventure, at home, far from the madding crowd.